This won’t hurt a bit. Yes, it will. It will hurt so bad you will blubber like a Los Angeles Lakers fan. It will feel like someone shot an arrow into your tooth and the arrow went through your nether parts and is now sticking out of your knee. Any dentist or hygienist who actually says this won’t hurt a bit should have to spend a day in a closet with the Reverend Al Sharpton as penance. It is a peacekeeping operation. No, it isn’t. It is an operation during which tall children will be shot in the face and shot in the groin and have their legs and faces blown off, and all because neither side of the argument had the wit to figure out another way to solve the problem other than choosing some of their brightest and most muscular children and paying them to die. Did you think human sacrifice had faded from the world? Not so. Not so at all. It’s not you, it’s me. No, it’s pretty much you she didn’t fall in love with, or fell out of love with, or fell in love with someone else instead of. This doesn’t mean you are a flawed and scurrilous being, not at all. It does mean it’s you whom he or she does not love, or no longer loves, though. Let’s at least get that straight. A baby inside a mother is not a person. Sure, she is. Alive is alive, and dickering over what counts as a Person is blather designed to let up tiptoe away from the fact that someone died. But people die all the time for all sorts of reasons. We kill prisoners in jail, we kill other countries’ soldiers and civilians, we sell gobs of alluring products that lead to death, a lot of babies die after they are born, from being abandoned and starved and beaten. We are pretty comfortable with people dying, isn’t that so? So why bother to pretend the dead person was not a person? It’s not about the oil. Sure it is. If there was an incredibly cruel dictator squirming in a land without vast reserves of oil, and he (dictators are always male, why is that?) made loud donkey noises about weapons, would we start a long savage war there? No? Are we at war with the dictator in North Korea who is the third in his family to starve his own people? No? Did we go to war with Charles Taylor, Robert Mugabe? No? Any pattern here? We are stewards of America’s land and water, and we do our utmost to protect our national legacy, and similarly beautifully phrased and designed full-page ads from Exxon and BP and mining companies. But those are whopping epic egregious astounding lies. Actually you are terrible stewards, and you grudgingly do only the minimum as required by law, if that, and you would happily dodge that if you could, so as to elevate share price. You know that, and we know that, and if you really were stewards you would go into another business altogether. You assume, reasonably, that you can dodge most legal action, or outspend the shrill screaming greens, and dump the company the instant you decide you have maxed out the profit margin. We all know this. It’s excellent business. We won’t pass harsher laws, because that would trammel the market, so you’re good to go. Thanks for the lovely advertisements, though. They may be the last place to see clean water, in the end. My campaign is all about family values. No, it isn’t. If that was the case, why are there 15 million American children who don’t have enough to eat today? Why are there 8 million kids with no health care? Why do so many kids have one parent, and no place to live, and never go to school, and get raped and beaten every blessed day? Why do kids get shot every few days by twisted loners with garages full of guns? If your campaign was really about family values, would you ever rest until there were no kids weeping in dark corners in your city and state and country? Well? Wouldn’t you? 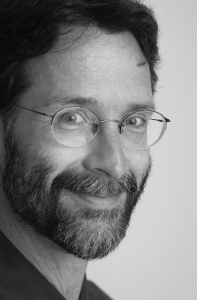 Brian Doyle is the author of many books of fiction and nonfiction, notably the ‘sprawling Oregon novel’ Mink River. His most recent book is an essay collection called So Very Much the Best of Us.